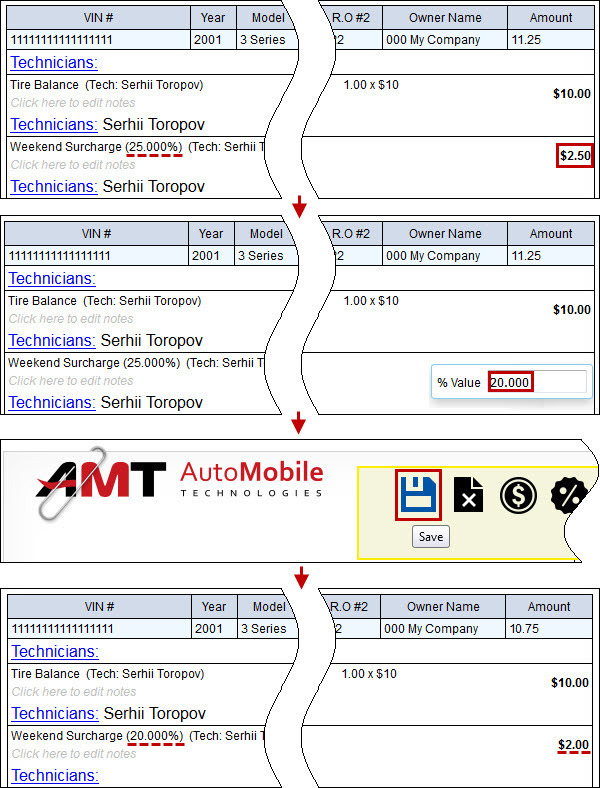 You can configure automatic saving of CSV files with inspection information to your company FTP. Note You must have at least one CSV Mapping. 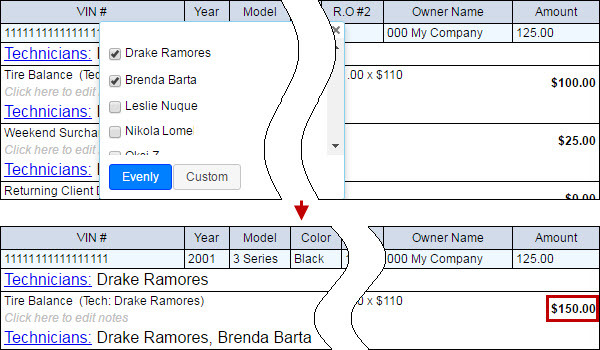 On the Company tab, click Company Info, and then on the Integration Settings tab, configure FTP Settings and Entity Type CSV Mapping Settings. 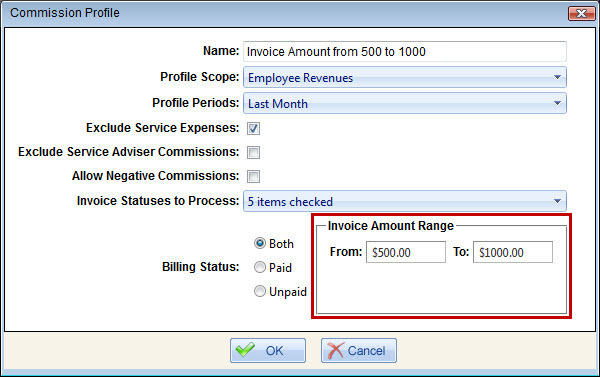 You can set invoice amount range in a commission profile to specify that invoices within a particular amount range can be used for calculating commissions based on this profile. If both the From amount and the To amount are specified, then commissions will be calculated from invoices which amount is within the range. If only the From amount is specified, then commissions will be calculated from invoices which amount is equal or greater than the From amount. If only the To amount is specified, then commissions will be calculated from invoices which amount is equal or less than the To amount. On the Company tab, click Commission Types; on the Commission Types page, click the Profiles link next to the appropriate commission type, and then click Edit next to the appropriate commission profile. In the Commission Profile dialog box, in the Invoice Amount Range section, enter the appropriate amount in the From and/or the To boxes, and then click OK. When you edit the amount of a percentage service, you can see the recalculated money amount immediately after saving the changes. When you edit the amount or quantity of a main service (i.e. not a surcharge, discount, tax, or fee), you can see the recalculated subtotal amount immediately after saving the changes. 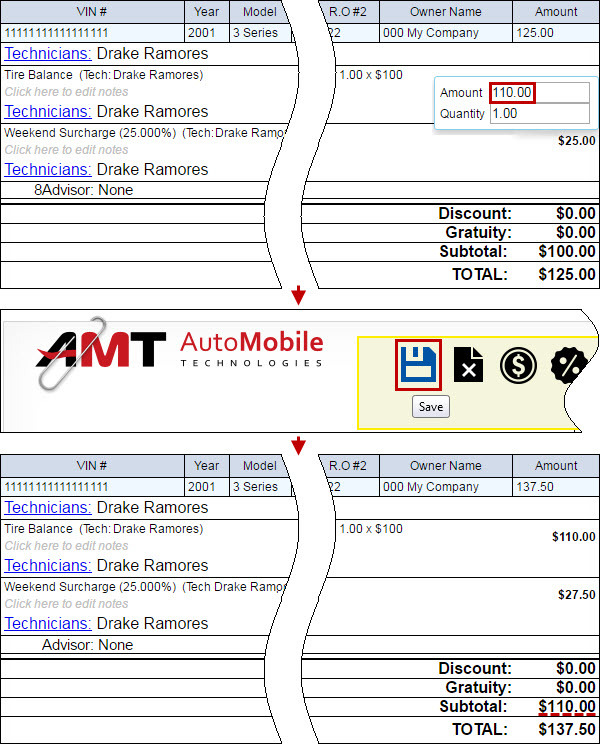 When you edit a service amount which is split evenly between multiple technicians, the split amount is automatically recalculated. For example, if service amount was changed from $100 to $150, then new amount will be split evenly between two assigned technicians ($75 each). 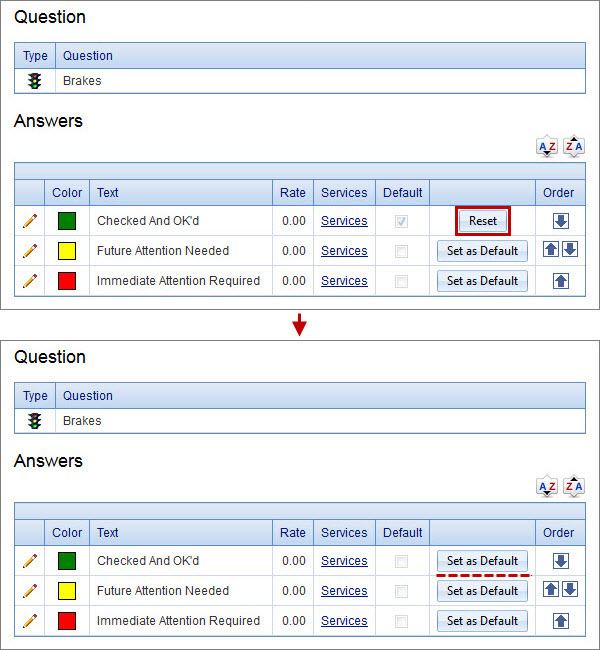 You can click the Reset button next to the default question answer to make it not default.